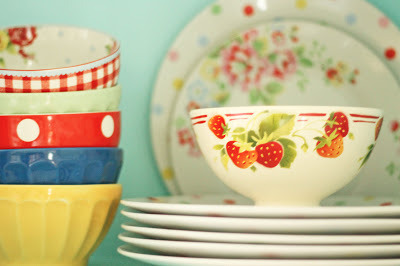 A Vintage Lover, Thrifter, Flea Marketer, Decorator, Stylist, Crafter, Seller of Vintage & Handmade Wares, Blogger, Wife, and Mom. 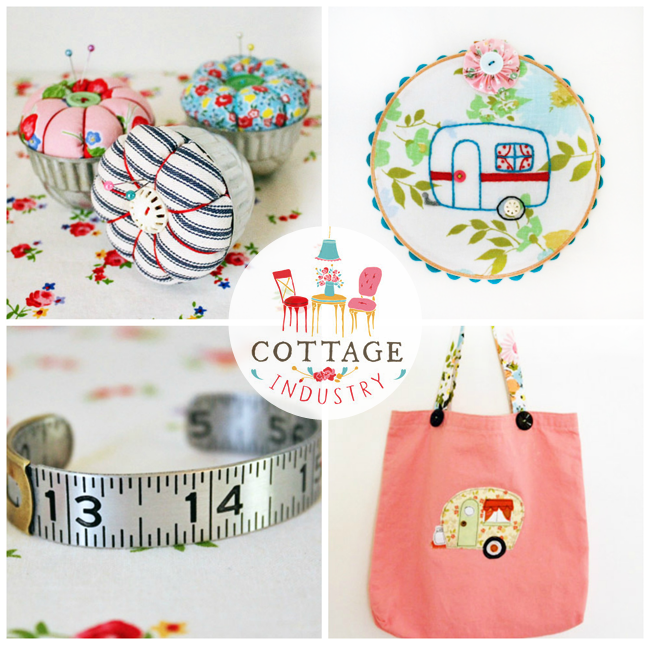 Cottage Industry is about all things Cottage and Vintage Style. 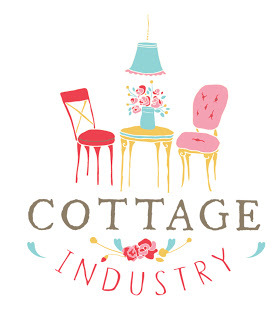 I assist in decorating and styling client homes both local and via email correspondence, as well as run the online shop there, selling a curated collection of cottage style, vintage and handmade goods. I believe in living a colorful, creative life, and surrounding yourself with only what you truly love and find useful. I have been fortunate enough to have my work and home be featured in local and national publications such as, the Chicago Daily Herald newspaper and Flea Market Decor magazine, and I am living proof that you don’t have to spend a fortune to get the look you want for your home and self. It’s a pleasure to be here today at the lovely Free Pretty Things For You, thank you Keren for having me! 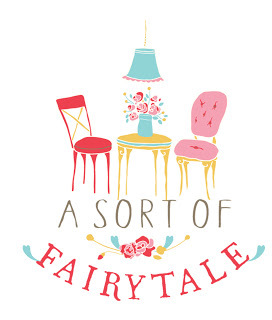 As a treat to Free Pretty Things For You readers, I’d like to offer 15% Off your entire order at the Cottage Industry shop today 5/2/13, just enter FPTFY at checkout. Happy Shopping! The post is lovely! Thank you Keren!!! 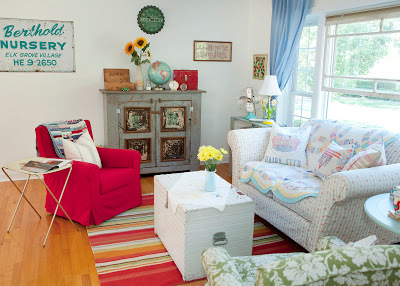 I loved the post and learning about your job and blog. Will visit frequently! Stacey your camper is too sweet. Keren, a woman after mine own heart. I love love LOVE this post!